“Don’t you just sign up for Peace Corps and go?” is a common question asked by people unfamiliar with the Peace Corps application process. Ashley Butterfield served as a Peace Corps Volunteer in Swaziland. A Volunteer's primary role is to help equip people with the skill sets that they need to help themselves. 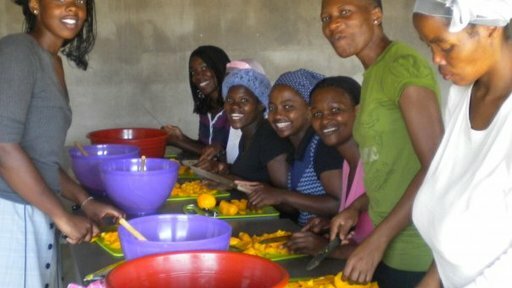 Though the goal is simple, language barriers, cultural difference, limited resources and the not-so-small task of integrating into a community that many Volunteers did not know existed until they visited the Peace Corps website complicates everything... and all this while being far away from home. Given the challenges, the Peace Corps seeks candidates with a proven track record of excellence. Therefore, the Peace Corps does care what you majored in, your grade point average, your hands-on experience, your legal history, whether you dress professionally for the video interview and whether you submit an application free of grammatical errors. Additionally, you should keep in mind that Peace Corps is not a travel agency, so you do not get selected simply because you “really want it” or “because now is the perfect time” in your life. If you really want to become a Volunteer, help your chances by gaining the desired skills, doing research before applying by connecting with a recruiter, submitting a quality application and staying professional throughout the process. The Peace Corps is a leader in international development and we are looking for the very best to represent our brand. Last year, the Peace Corps received more than 17,000 applications for fewer than 4,000 positions. Thanks to our new and improved application process, we're on track to receive even more applications for the same number of positions. The Peace Corps is actively working to recruit a stronger, more highly skilled applicant pool to meet the diverse needs of the countries we serve. Just as our lives are affected by technology, climate change, our social environment and the health of our nation, so are the lives of the people we serve. And just as we require individuals with specialized skill sets to meet the unique needs of our nation, the same holds true for the countries that we serve. Serving as a Peace Corps Volunteer is a professional opportunity with lifelong benefits, so it is extremely competitive. If you think you have what it takes to compete, apply here. Ready to start your Peace Corps journey? Connect with a recruiter today. Ashley Butterfield is a Placement and Assessment Specialist in Peace Corps’ Placement Office and a returned Peace Corps Volunteer from Swaziland (2009-11).